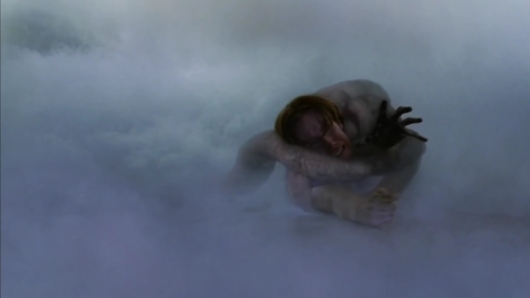 In 2007, Frank Darabont brought Stephen King’s novella The Mist to the big screen and created one of the most jaw-dropping horror films in memory. 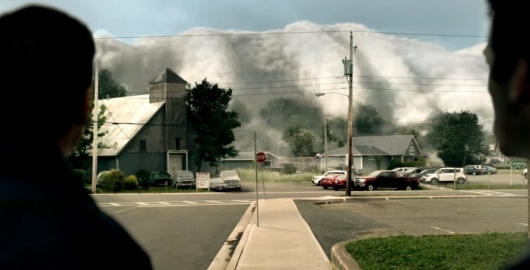 The story was simple enough: a mysterious mist engulfs a small Maine town. The townfolk flock to a supermarket as monsters begin devouring those left outside. The monsters from the mist end up producing monsters inside as the people quickly turn to fanaticism and violence on each other. The film’s ending is one of legends. I won’t spoil it, but those in my theater were left speechless and motionless throughout the entire credits. A decade later, Danish writer/director Christian Torpe brings the King work to the small screen for a ten-episode run on Spike TV. The Mist is the first of three major adaptations of King’s work coming this year with The Dark Tower due out in theaters in August and the remake of It in September. 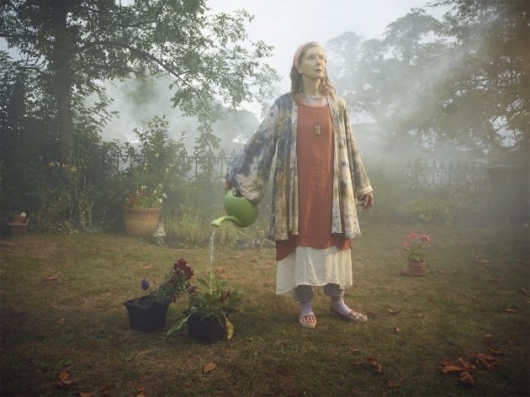 A couple of years back we found out that a TV series based on the Stephen King story The Mist was being developed. The show is now set to arrive in just a couple of months, and the first trailer has been released online. You can find more info and watch the trailer below. We just saw the first look at the new Pennywise the Clown in the upcoming movie adaptation of Stephen King‘s It. Now comes news related to another project based on the work of King, a TV series based on The Mist. We first heard about The Mist back in September of last year. Now, a bunch of castings have been announced for the upcoming Spike TV series, nine of them to be exact. Continue below to find out who was cast and what characters they’re playing.